Following WWI , George Renner, Sr., graduated from mortuary school and was employed at local funeral homes. 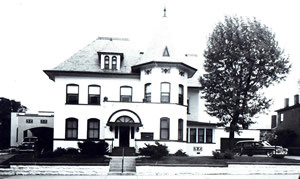 In 1929, he and Mr. Otto Schneider established the Renner-Schneider Funeral Home at 105 North Illinois Street. After several years of business, this partnership dissolved. In 1934, George Renner Sr., co-founded Renner, Geminn, & Bergman Funeral Home at 120 North Illinois Street, Belleville, IL. 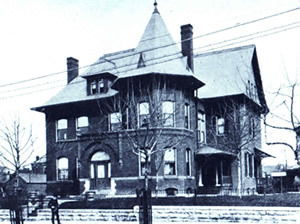 Later, George Renner Sr., became the sole owner. George and Mary Renner had six sons, George Jr., David, John, Joseph, Thomas, and James, who joined the firm shortly after WWII. 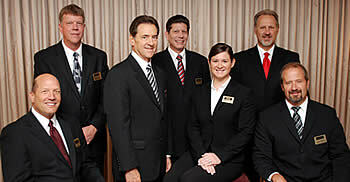 All were licensed funeral directors and four were also licensed embalmers. From the 1940’s to the early 1970’s, the funeral home also operated an ambulance service. In the 1940’s, the firm acquired the Meng-Sintzel Funeral Home in Freeburg, IL and built a third location in Smithton, IL. George Sr., George Jr., David Sr., John, Joseph, and Jim Renner are now deceased. Thomas, while retired, can regularly be seen at the funeral home visiting with many friends and acquaintances. 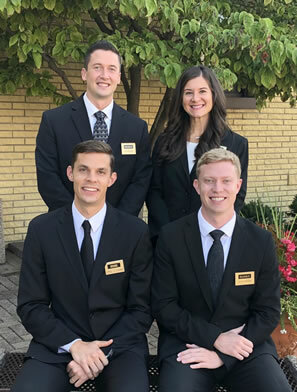 Today, the third and fourth generation of the Renner family own and operate the firm. They are William, David Jr., Jenna, Daniel, David, and Samuel. George III and James Jr. are retired, but are still frequently called upon to help serve families as needed. Carl is retired and Michael is deceased. 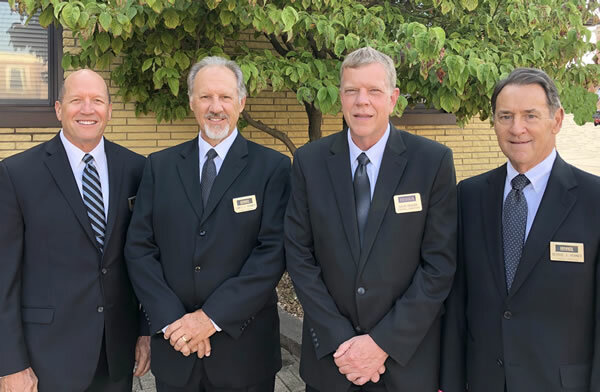 All Renner family members currently on staff are fully licensed funeral directors and embalmers. They were all born and raised in Belleville or Freeburg, and are active in community, church, and civic affairs.